Attention Eastside dogs! Are you the cutest pup in all east King County? Can no one resist the urge to tell you how adorable you are whenever they pass you by? Then you may be our next Grand Doggie Marshal! 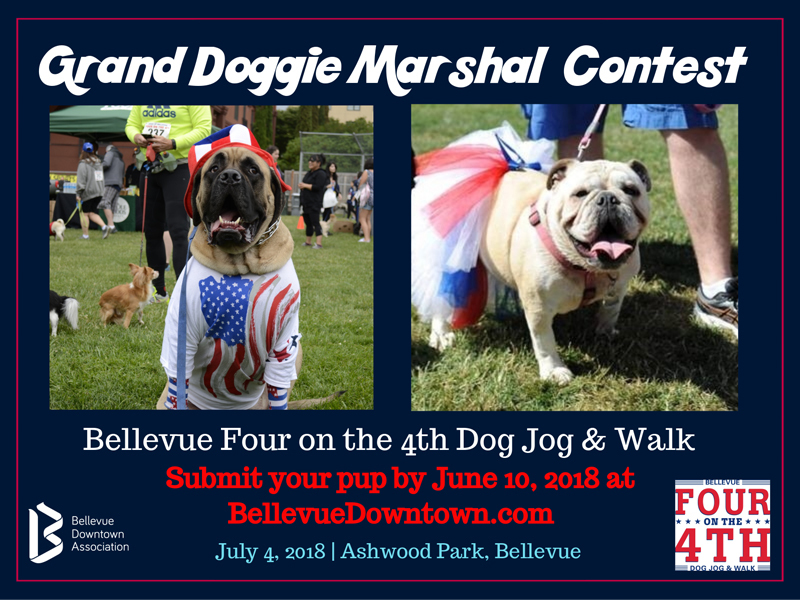 The Bellevue Four on the 4th Dog Jog & Walk is looking for this year’s Grand Doggie Marshal to join us for this furrtastic Independence Day celebration benefiting Seattle Humane in Bellevue. 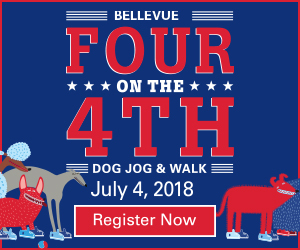 The 6th annual Four on the 4th Dog Jog & Walk kicks off Fourth of July festivities with a non-competitive 4K jog and walk for dogs and their human companions in downtown Bellevue. Merriments begin at 9:00 a.m. with 7:30 a.m. check-in at Ashwood Park (by Bellevue Library). This all ages family friendly event includes a dog costume contest, kids bouncy house, photo station, Seattle Humane’s MaxMobile who will be onsite with pets to adopt, and more! The Grand Doggie Marshal helps start the race and serve on the Dog Costume Contest Judging Panel. The winner will be chosen by public vote. Click HERE for complete contest details. Chester is a 3-year-old golden-doodle who is the life of the party! He enjoys going places and meeting people and always greets new people with his signature goofy smile. 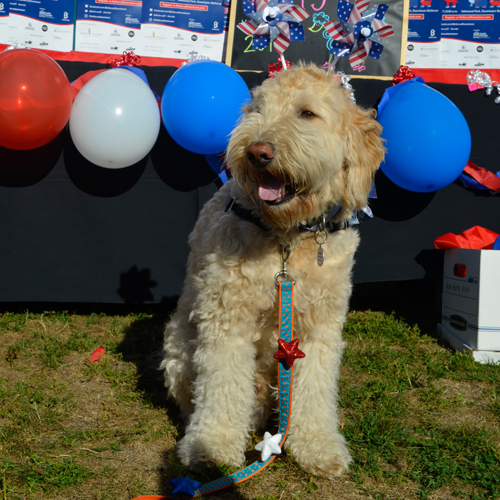 Chester is excited to serve as this year's Grand Doggie Marshal and had a blast at this year's event!